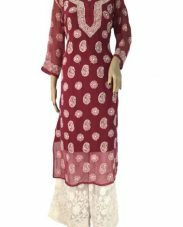 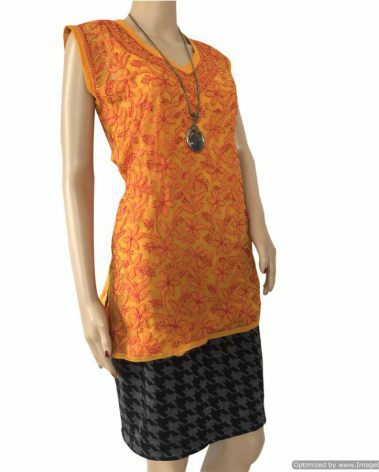 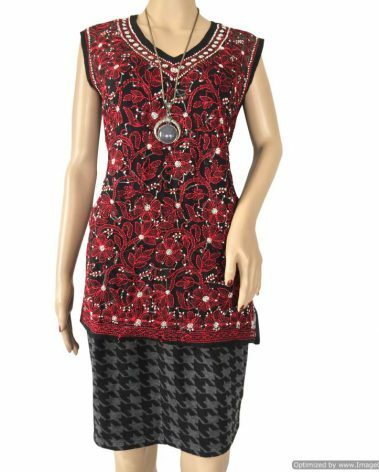 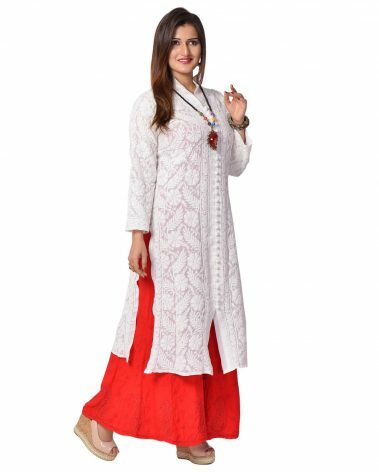 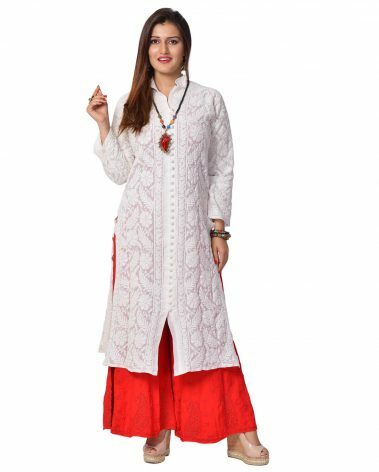 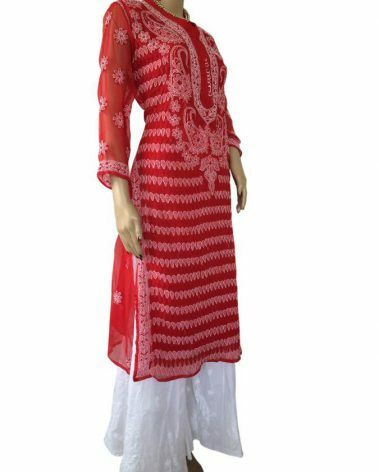 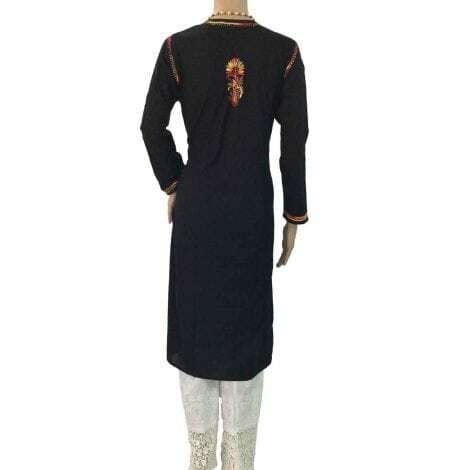 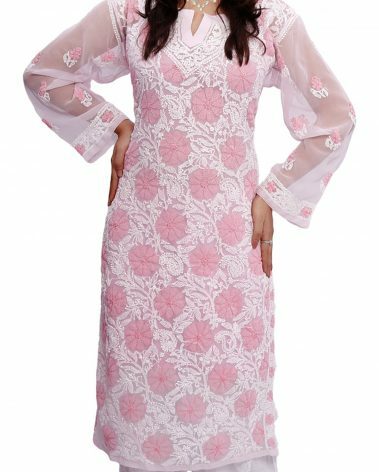 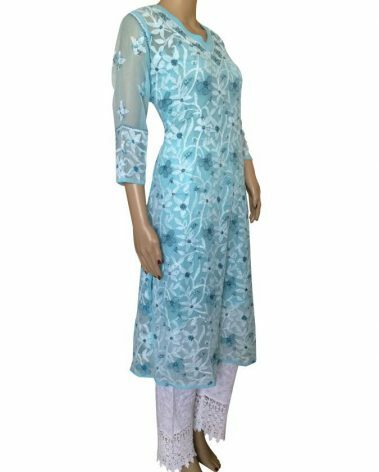 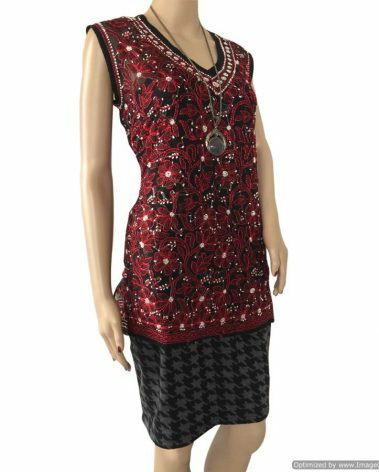 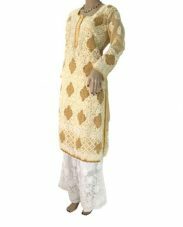 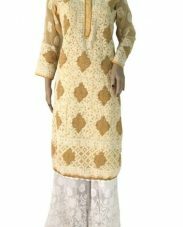 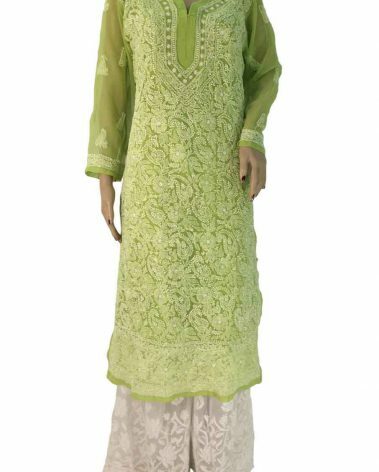 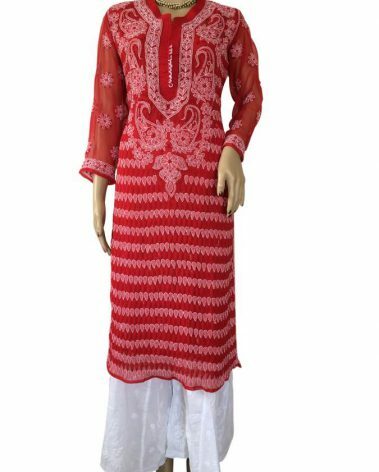 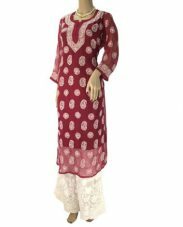 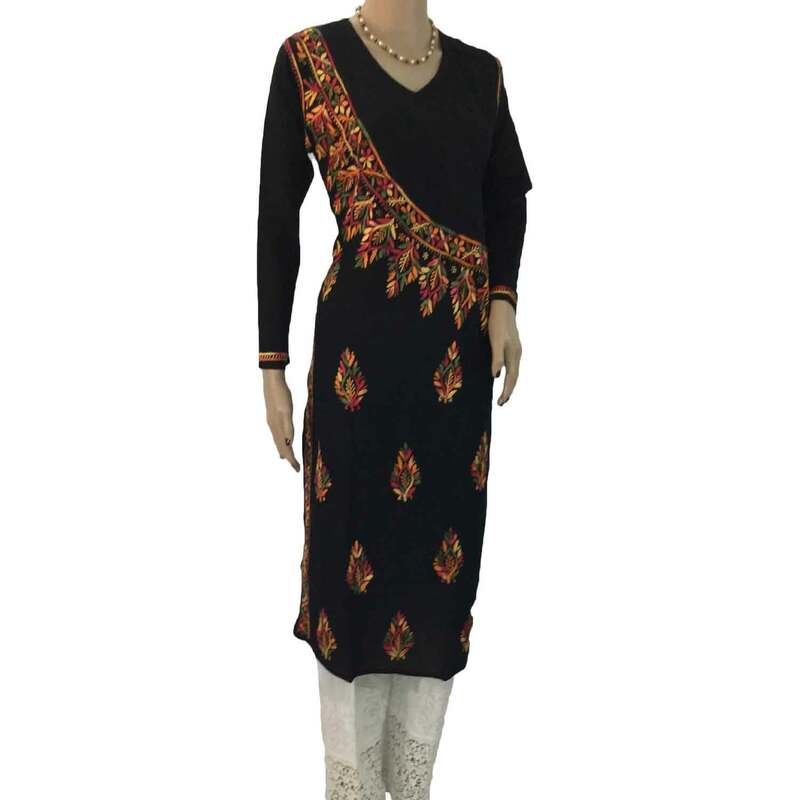 Very functional regular or office wear bright red colored malmal Kurta with hand embroidery in same tone makes is subtle & stylish . 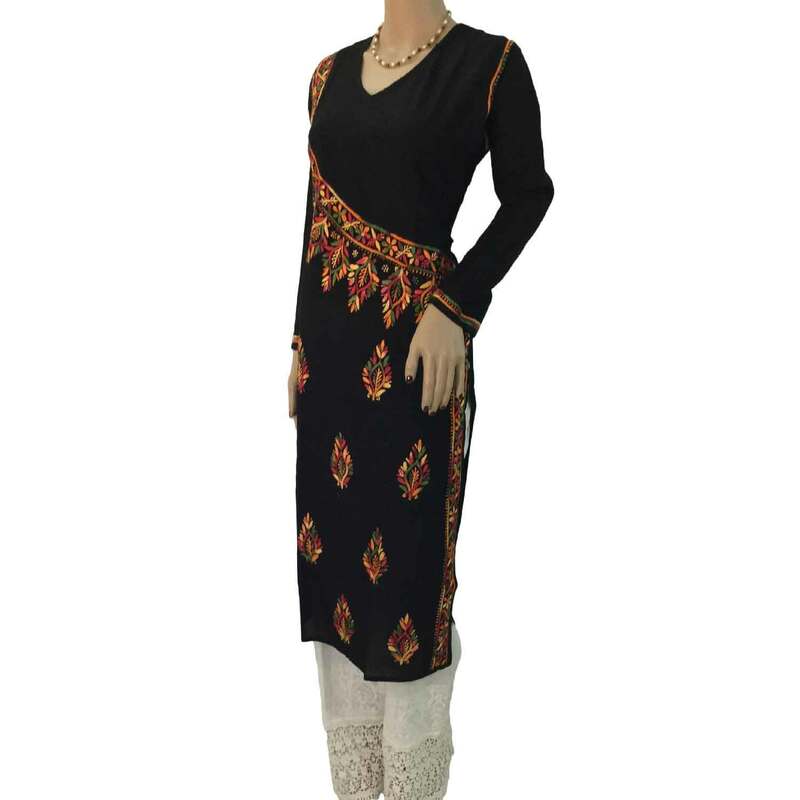 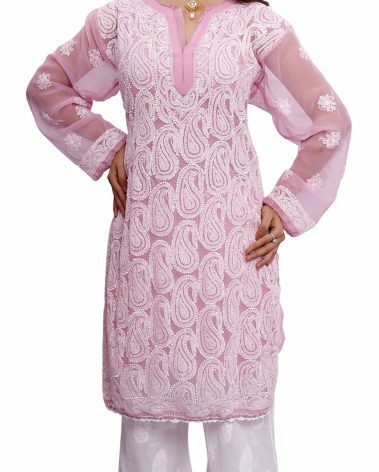 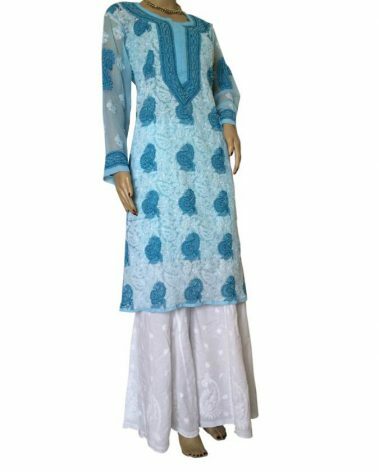 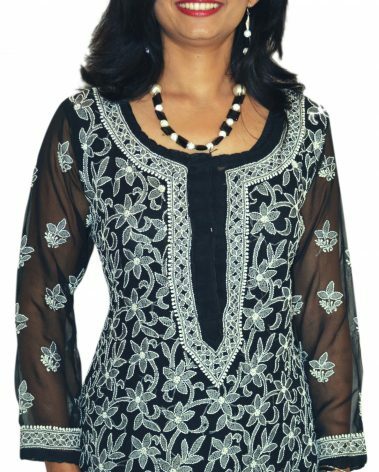 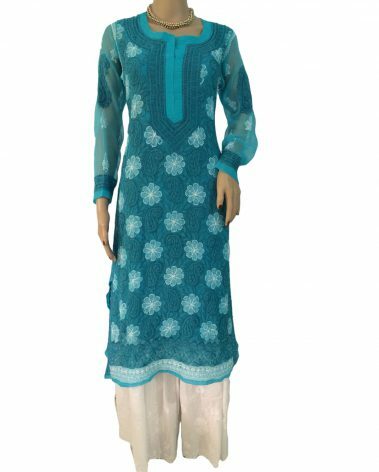 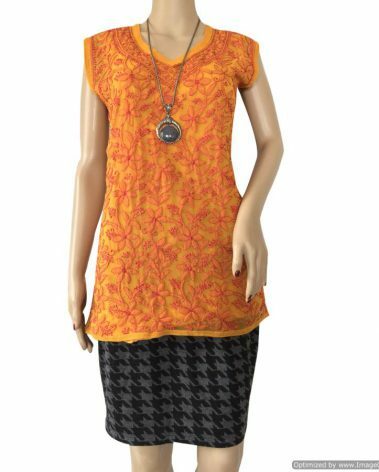 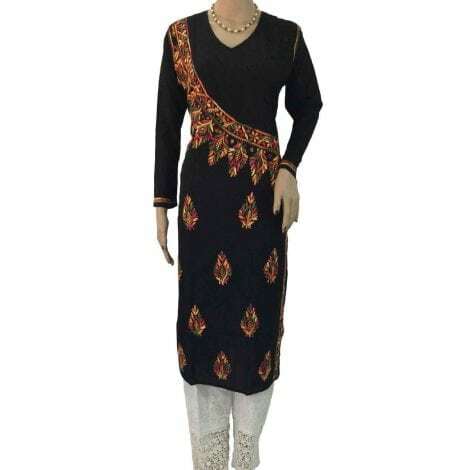 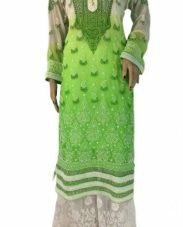 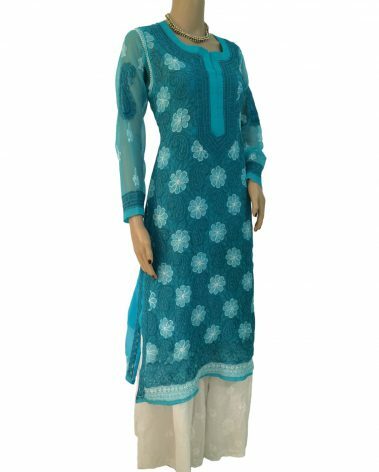 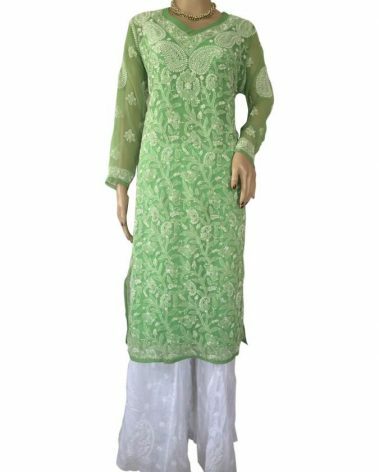 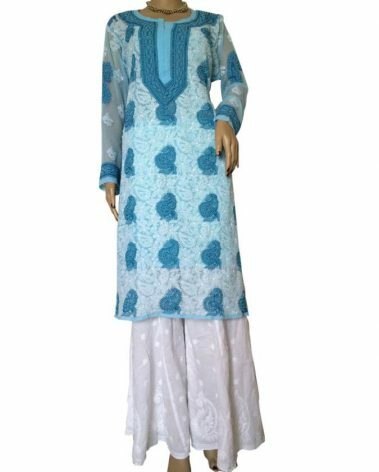 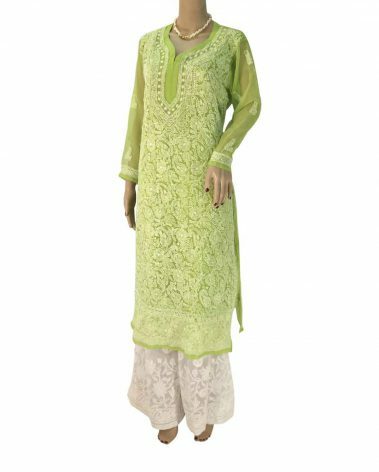 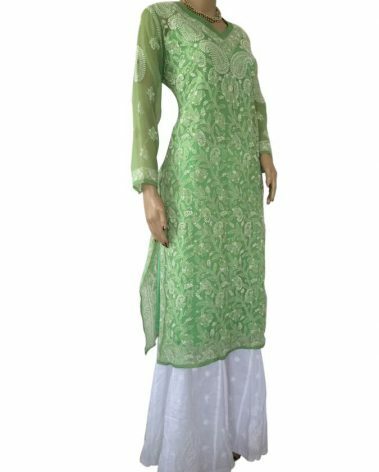 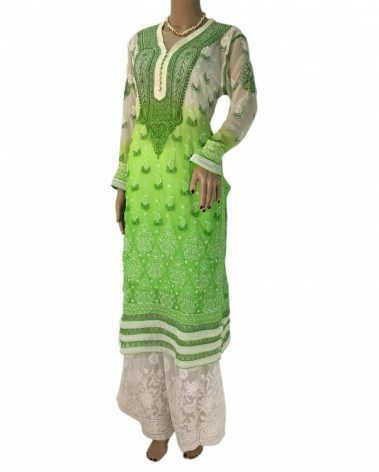 This is best paired with White salwar or Palazzo. 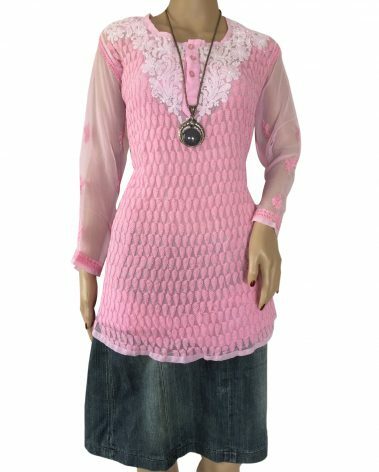 Just simple accessories will complete look.